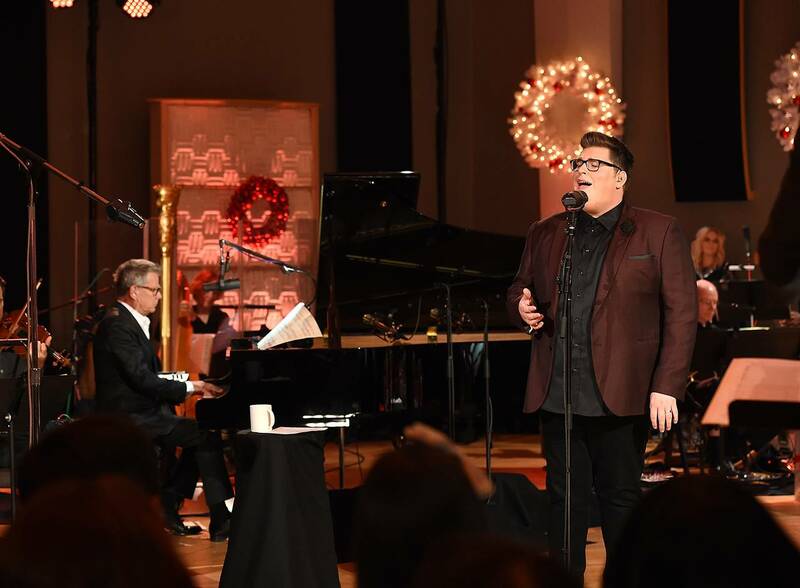 Republic Records recording artist Jordan Smith, the powerhouse vocalist and season nine winner of NBC’s “The Voice,” stars in his very first one-hour concert special for public television, “Jordan Smith ‘Tis The Season," airing on OETA Saturday, December 17 at 8 p.m. Taped in Los Angeles, Calif., the holiday special spotlights music from Jordan's new Christmas album "'Tis the Season," with a special appearance by multiple Grammy® Award-winner, composer, and songwriter David Foster. Produced by the team behind the critically acclaimed music series “Front And Center” and the talk show “Speakeasy,” “Jordan Smith ‘Tis The Season” is presented and distributed nationally by American Public Television (APT). Lead by Jordan’s musical director Cheche Alara (Latin Grammys and “American Idol”), and backed by a string and horns/woodwind section, the special showcases the Harlan, Kentucky native singing 12 classic and popular songs, including: “Santa Claus is Coming To Town,” “(You’re A Mean One) Mr. Grinch,” “Have Yourself a Merry Little Christmas,” and “Silent Night,” before an intimate studio audience of family, friends and fans. The biggest selling “The Voice” artist to date, Jordan was the show's first artist of the season to reach No. 1 on the iTunes Store pop songs list, and three of his performance recordings each bumped Adele's platinum-selling “Hello” from the top spot on the iTunes list. Earlier this year, the vocalist released his debut album titled “Something Beautiful,” and on October 28, his first holiday album “‘Tis The Season,” will be available in stores and through digital retailers. Produced by David Foster, the album will feature many of the songs on the holiday special, including his personal favorite, "(You’re a Mean One) Mr. Grinch." JORDAN SMITH’s much anticipated debut album, Something Beautiful [LightWorkers Media/Republic Records], is available now everywhere. Throughout the album, his undeniable delivery and instantly recognizable range drives both original songs and cover tracks produced by legends such as Grammy Award winning producer David Foster (Céline Dion, Michael Bublé, Josh Groban) and modern hit maker Stephan Moccio (The Weeknd, Ellie Goulding, Miley Cyrus). The 22-year-old from Harlan, KY, Jordan Smith stands out as the highest-selling artist to ever emerge from NBC’s Emmy Award®-winning “The Voice.” In less than six months, he sold over 1 million singles and made Voice history by landing eight songs in the iTunes Top 10—the first artist from any season to hit the iTunes Top 10 every single week of the Live Rounds. Of the eight songs that went Top 10 on iTunes, six hit Top 3, and three captured #1 on iTunes, all of which knocked Adele off the top spot!